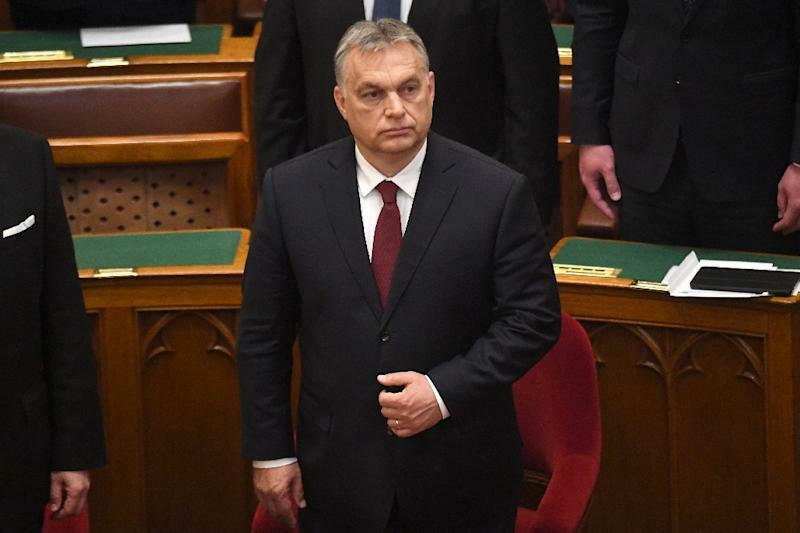 Budapest (AFP) - Hungary's parliament adopted Wednesday a controversial package of laws penalising NGOs that help migrants, a key proposal of the firebrand nationalist Prime Minister Viktor Orban. Dubbed the "Stop Soros" laws after liberal US billionaire George Soros, accused by the government of orchestrating migration to Europe, the package of legislation was voted through by 160 votes to 18. MPs also approved a change to the the constitution stipulating that no authority is allowed to affect "the make-up of the Hungarian population", a clause designed to prevent Hungary participating in any EU scheme for mandatory refugee resettlement. The latest changes come in addition to a measure passed with a finance bill on Tuesday slapping a 25-percent tax on NGOs suspected of helping migrants. 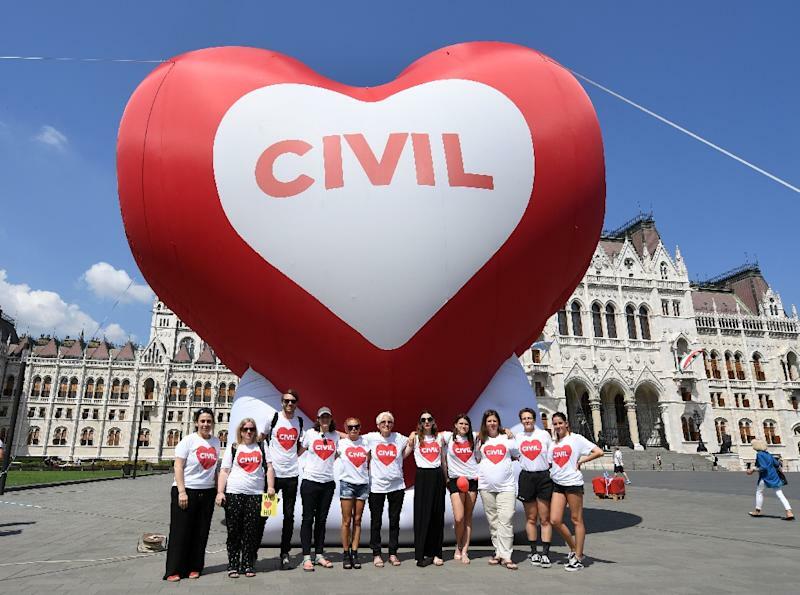 The Hungarian chapter of rights pressure group Amnesty International, which could find itself targeted under the laws passed on Wednesday, called them "a brazen attack on people seeking safe haven from persecution and those who carry out admirable work to help them". "It is a new low point in an intensifying crackdown on civil society and it is something we will resist every step of the way," Amnesty said in a statement. The UN children's agency UNICEF pointed out the Hungary plays host to less than one percent of registered child asylum seekers in Europe and that hobbling NGOs that help them could lead to "further harm to children who have already been forced to leave their homes, often experiencing traumatic journeys, and will perpetuate dangerous misconceptions rooted in racism and discrimination". However, in an official statement the government said the changes "are implementing the will of the Hungarian people". "This reinforced protection is necessary as the pressure of migration on Europe is constant and the Soros network, as well as the pro-migration policies of Brussels, threaten our country with a migrant invasion," the statement added. The government's language is in keeping with the rhetoric it used in the lead-up to a parliamentary election in April, in which Orban's ruling Fidesz party won a third consecutive term by a landslide. The "Stop Soros" laws were promised by Orban prior to the vote, which was dominated by anti-migrant and anti-Soros messaging on pro-government media. Last month, the Open Society Foundations (OSF) run by Soros announced they were closing operations in Hungary and moving to Berlin, citing the government's "repressive" policies. The adoption of the new laws comes as migration once again moves up the European political agenda. On Thursday, Hungary will host a group of leaders of the Visegrad group of four central European countries, along with Austrian Chancellor Sebastian Kurz. The Visegrad bloc has traditionally taken hardline stances against migration and refugee quotas and Kurz has been cultivating allies in the EU for his own proposals to clampdown on migration.